CROSLEY Crosley CR49 Traveler Turntable (black) (B STOCK) vinyl at Juno Records. Lines open in 9 hrs 17 mins. By the late 50's, stereo records reached a peak in the marketplace as hi-fi sound reproduction attained its largest audience to date. The portable turntable was introduced in the late 1950's and provided music lovers with a sense of independence, allowing them to easily cart their record player from one locale to another. The popularity of this unit was due in no small part to its portability, but also to its suitcase styled finishing touches that became a Crosley hallmark. The Crosley Traveler Turntable is designed to reflect the portable stylings of yesteryear. This fan favorite is a 3 speed belt driven turntable that plays 33 1/3, 45 and 78 RPM records. The Traveler includes modern conveniences such as a diamond stylus needle and dynamic full range stereo speakers. 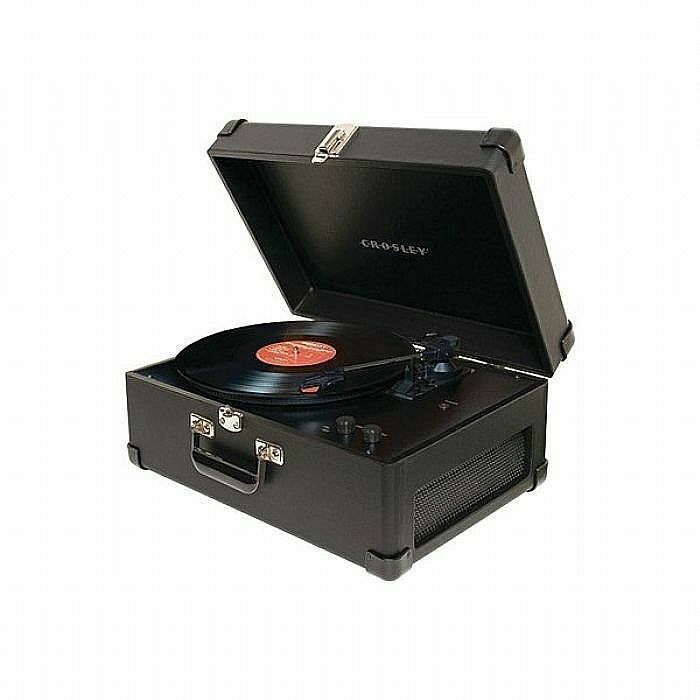 So whether you choose Ella Fitzgerald or Elvis, celebrate your vinyls in portable style.